No.1 vs. No.2 player of the world and of the main draw meets each other, only third times since 1996 but every time, Djokovic was one of the participant! 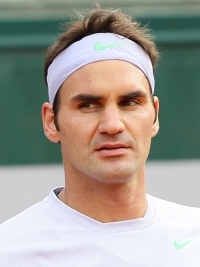 In the H2H record, still Federer has a slight lead by 21-20 before his 42nd matchup which put them on the second position in the Open-era (Nadal – Djokovic have 44 meetings). In the Grand Slam, the Serb leads 7-6 (total), however Federer has still 5-4 at the US Open. Also the top-ranked player won 6 titles this year, just one more than his rival from Switzerland. This is their 4th Grand Slam final meeting, Djokovic clinched the last 2 trophies (Wimbledon 2014-15), after Federer won the first at the 2007 US Open. This is only 2nd time in the last 34 years that the US Open will be the rematch of the Wimbledon final. The Serb player is looking for his 2nd US Open crowns, while Federer is chasing his 6th US Open title which would break a tie with Jimmy Connors and Pete Sampras (5-5). Djokovic’s record 1-4 in the final of US Open, Federer has 5-1. The Swiss’s eye on the 18th Major title and the first with collaboration with Stefan Edberg, the Serb’s focusing to get his 10th GS trophy and the 4th with his coach, Boris Becker.